Watching Kelly Oubre make the walk from the team bus to the locker room is a little like being transported from the arena to front row of a fashion show. Roughly three-and-a-half hours before game time, with reporters and cameramen milling about, Oubre enters the scene. Dressed in head-to-toe black, the red accents on his pants and sweater match the red-rimmed sunglasses he is wearing—despite a mid-April afternoon ice storm beating down on Toronto outside. Phones raise, camera flashes pop and the concrete walls seem to recede into the distance, becoming the backdrop for a 22-year-old’s casually confident stroll toward the Wizards’ locker room. Once he enters the locker room, the only tangible evidence of his fashionable entrance hang from the hooks in his locker stall. For the rest of the night, he is wearing #12, serving as reserve swingman for the Washington Wizards. Two days later, prior to Game 2 in Washington’s first-round series against the Toronto Raptors, Oubre does the walk once again. Keeping with the same red and black color scheme, this time he opts for a red Washington Capitals hockey jersey. Despite these fine sartorial choices, the Wizards leave Toronto trailing the Raptors 0-2 in their best-of-seven series. 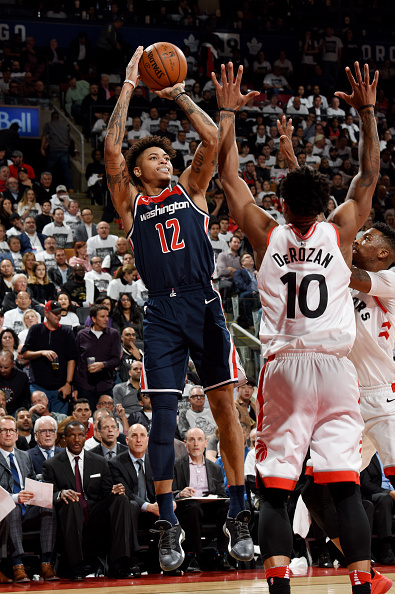 Oubre was limited to just three points and 16 minutes in a Game 1 loss. He scored 16 points off the bench in Game 2, playing 30 minutes. Although there is disappointment in not being able to steal a game on the road, the Wizards are calm heading back to Washington. 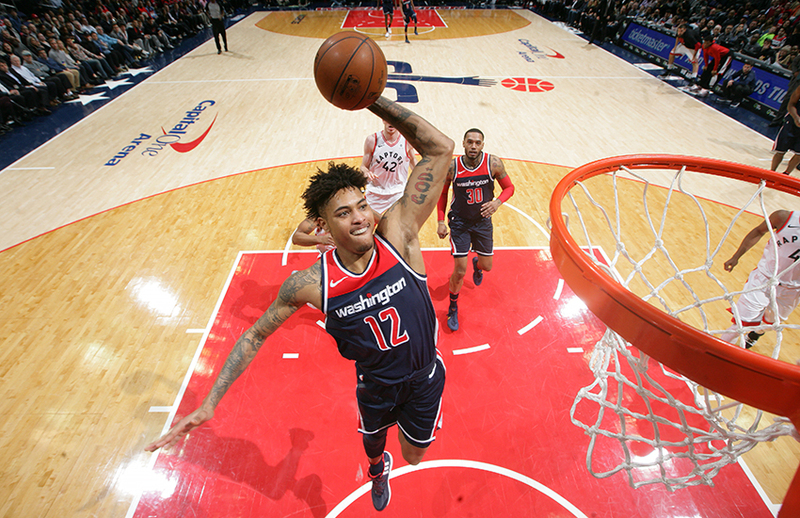 Though Oubre’s added flair on and off court—“that’s the fun part of basketball, you can put your own style on it”—can draw the ire of detractors and opponents alike, his carefree spirit has been important for the Wizards. After grinding out a rollercoaster regular season and entering the postseason as the eighth seed in the Eastern Conference, confidence is crucial in the NBA’s second season. Coincidentally, confidence is something Oubre hasn’t ever been without. In three seasons, Oubre has seen his minutes jump from 10.7 per game to 20.3 per game to 27.5 per game. His scoring averages have increased as well, starting at 3.7 points in his rookie season, nearly doubling at 6.3 in his sophomore season, to a career-high 11.8 points per game this year. Making the transition from college to the NBA is always an adjustment. Young players need to go through their first NBA season, they have to get used to the physicality, the size, speed and strength of their opponents, as well as learn tendencies and coverages. Oubre’s increased role and production hasn’t happened by accident. He has made changes to his daily routine, the biggest being how he prioritizes sleep. 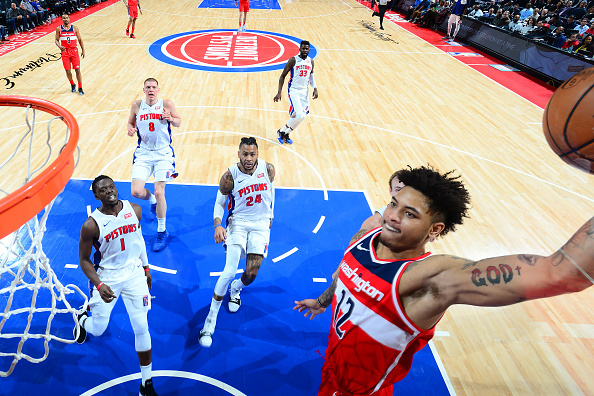 While other 22-year-olds might be fresh off four years of pulling all-nighters in college, Oubre is focused on maximizing his resting hours to help his body recover from the rigors of the NBA. When the Wizards were without John Wall for half of the season due to injury, backcourt mate Bradley Beal stepped up in his absence to lead the Wizards. 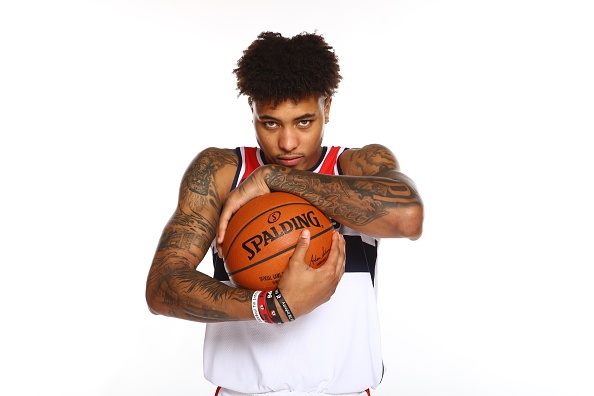 It has been Beal who has served as Oubre’s mentor, in addition to being one of his closest friends on the team, teaching him the ropes of being an NBA player and showing him how to be a professional. While others focus on Oubre’s showman tendencies, missing the improvements he has made to his game, Beal has been there for it all. He delights in discussing how his teammate has grown since being drafted by the Wizards in 2015. In a long, sometimes grueling season, teammates who help to keep things light make coming into practices easier during the tough stretches. Beal encourages Oubre to be himself, knowing how it can help the rest of the guys on the team. 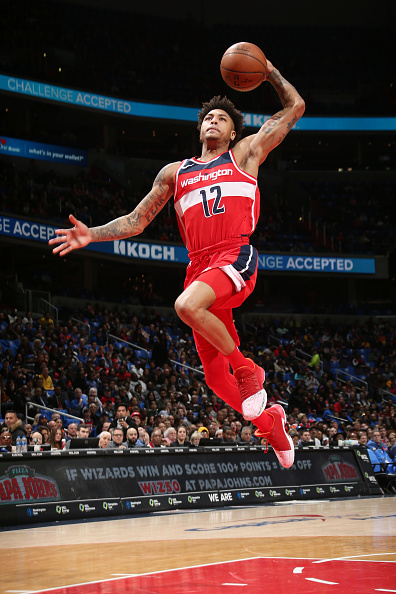 Beal isn’t the only one preaching the importance of Oubre’s energy, particularly of the defensive end of the floor. 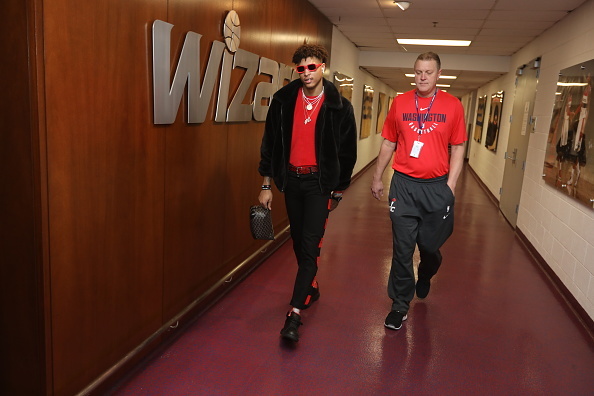 Considering Oubre’s obvious love for fashion, music and self-expression, it doesn’t seem far-fetched to imagine him saying that one of the best parts of being in the NBA, beyond getting to make a living playing basketball, is the lifestyle. In reality, the answer he gives couldn’t be farther away from the flashy trappings of celebrity life. Oubre connects his passion for art—in any form—with growing up in New Orleans, Louisiana. Excitement just seems to trail Oubre. Holding court with reporters talking about last night’s game or huddled off to the side discussing one of his other passions, there is an earnestness that rises above Oubre’s confidence that is immediately endearing. It can seem impossible to have things figured out in the whirlwind that is a life in professional sports at age 22. And yet, when Oubre sums up his journey, all of the basketball and non-basketball parts that make him who he is, it just makes sense.